We know what it feels like to be a victim of crime. Ken Jezioro, a police officer and investigator with 28 years of experience, founded SHIELD after his home was burglarized in 1976. Since then, we've been on a mission to help our customers keep their loved ones safe and their property secure. From the bottom of our heart, we thank you for helping us make a difference in our community. Our customers love us and our service speaks for itself. We don't rely on binding contracts or gimmicks that tie you down. Get great value for a great price. Harness the power and control of the best that security technology has to offer. A+ BBB rating every year for the past 29 years. We offer a price-lock guarantee and reward our customers for their loyalty. Don't fall victim to an unreliable "out-of-the-box" security system that leaves you and your loved ones vulnerable. Get your system professionally installed to fit your home properly, the way it should be. 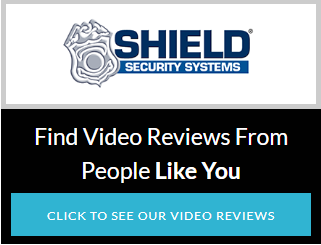 Get the ultimate peace of mind from a security company you can trust.